Compiled from magazine articles published in the 1850s after his death, Cape Cod details several short trips Thoreau made to "the bare and bended arm ofMassachusetts" between 1849 and 1855. "He went to the Cape out of curiosity," explains Paul Theroux, "but in the course of his travel a great thing happened: Thoreau, the woodsman and landlubber, discovered the sea." Encounters with the ocean dominate the book, from the fatal shipwreck of the opening episode to the late reflections on the Pilgrims' Cape Cod landing and reconnaissance. 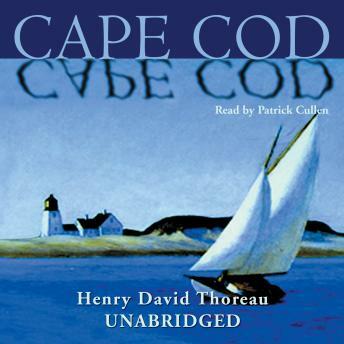 Along the way, Thoreau relates the experiences of fishermen and oystermen, lighthouse keepers and ship captains, and their chronicles of exploration, settlement, and survival on the Cape against the threats of the wild sea and of encroaching modernity.